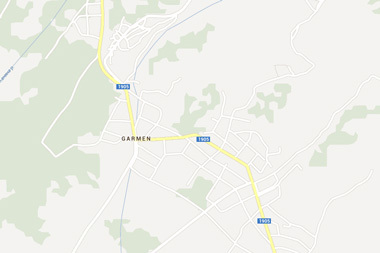 Upon arrival in Sofia,there are 220 kms by car or by bus to get to Garmen. Direct flights to Thessaloniki: BUT NOT POSSIBLE TO RENT A CAR FROM GREECE TO BULGARIA!! Upon arrival in Thessaloniki,there are 185 kms by car to get to Garmen.